The National Trust of Australia (Victoria) has a range of unique properties available to suit a variety of functions and events. Whether you are looking for a stunning wedding venue, a place to host a birthday party, or a corporate gala dinner, you are sure to find a venue with a difference. One of Australia’s most fascinating tourist attractions, the Old Melbourne Gaol can be transformed through lighting into an unexpected and unique setting in the heart of Melbourne. Polly Woodside is one of Melbourne’s iconic attractions and a unique setting in the heart of the city, catering for a variety of corporate and private functions. 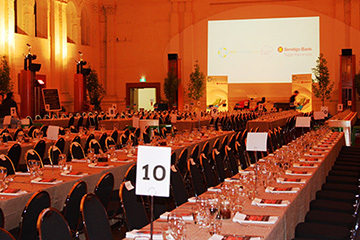 The atmosphere of this historical vessel ensures a spectacular venue for your event in Melbourne’s city centre. Como House and Garden is a gracious colonial mansion of Australian Regency and Italianate design set in over two hectares of superbly landscaped gardens. 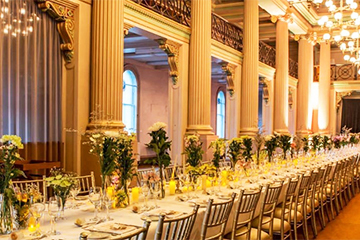 Como House and Garden offers breathtaking backdrops for all events, ranging from magnificent gardens, the historic Ballroom, the modern Pavilion and exclusive garden marquee opportunities for your functions.